GitHub is a globally recognised software development platform and is popular amongst developers when creating and sharing coding projects. The platform is home to over 31 million developers. Most of the developers, 80% in fact, come from outside the United States. With so much action, what are the top five open source projects on GitHub in February 2019? Firstly, just a quick recap: GitHub is a site where developers can store their projects and work with other like-minded individuals. It’s clearly an excellent place to collaborate, which happens via Pull Requests that let you notify others about changes you’ve pushed to a GitHub repository. Interested parties can then check out these changes and propose potential modifications (read here about how to create a Pull Request). Also, like Microsoft Word or Google Drive, you can maintain a history of your code – with new iterations, you don’t lose previous versions. So without further ado, here are the top five open source projects on GitHub in February 2019. Interestingly, the most popular repository this month is a collection of full-stack resources for developers. The goal is to make you a more proficient developer – included are timeless classics and inspiring resources. There’s also a list of must-read books and articles, as well as many other resources including stuff on developer environments and tools, debugging, interviewee resources, databases, and much, much more. The repository is very comprehensive. And of course you can also contribute your own recommendations. This project requires Java runtime environment knowledge, as well as the Linux command line tools. If you’re interested in getting involved in e-commerce, this project might be just the thing you’re looking for. Fescar is an easy-to-use, high-performance, Java based, open source distributed transaction solution. Contributors are welcome to join the FEATS project. You need to check out CONTRIBUTING about how to contribute to this project. Here’s a cool 2019 February GitHub project – a repository of awesome podcasts which are helpful for software engineers and programmers. You’ll find stuff on .Net, Agile, Android, C++, relevant career interviews with developers and CEOs, Data Science, Machine Learning, Devops, Python, etc. It’s a fantastically long list, so there’s sure to be something that grabs your attention. In true GitHub style, you can also add new podcasts to this extensive list. 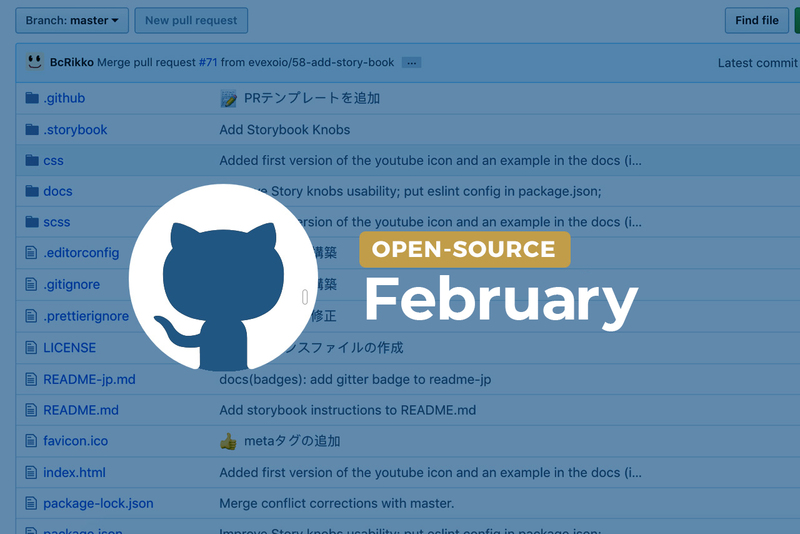 We’ve mentioned the top five open source projects on GitHub in February 2019. You can also check out the trending repository on GitHub to see what the community is most excited about on a daily basis. To brush up on your coding skills, consider enrolling on a HyperionDev bootcamp in Full Stack Web Development, Data Science or Software Engineering. You can also trial one of these courses for free.